For seven years, 51-year-old Alison Ottaway managed to hide her Parkinson’s disease (PD). A low dose of levodopa, a drug that resupplies the brain with dopamine, which dwindles in the disease, kept her “cracking on [with] life as normal,” says Ottaway, who lives in Haslemere, Surrey. This meant working long hours in her busy career as an events planner. Eventually this pace became physically difficult for Ottaway, and she scaled back her work. Then in 2016, her rigidity and freezing symptoms returned with a vengeance. This made it difficult for her to get out of bed, and sometimes she would have to drag herself across the floor to get through the house. Luckily, an increase in her levodopa dose got her back on track. This, along with exercise and self-care, keeps her symptoms at bay. But the episode raises questions about how long levodopa will work for Ottaway. Her father also had early onset PD, and Ottaway watched him deteriorate over 23 years despite taking levodopa. It is common for people with PD to have a levodopa “honeymoon” before its effectiveness declines. Other drugs that activate dopamine receptors may help, but these risk addiction or psychosis. Deep brain stimulation (DBS), in which an electrode is placed within the brain to activate neurons, has become routine for those unresponsive to drugs. But none of these options slow or stop the disease process, and PD, which was first described 200 years ago, remains without a cure. In the past 20 years researchers have won important insights into the nature of the disease, but there are no new treatments to show for it. Many failed clinical trials later, pharmaceutical company investment has withered as PD is deemed too high risk. In response, researchers are getting back to basics: re-examining their animal models; monitoring PD symptoms over years to better understand the different ways the disease unfolds; looking for early signs of the disease; and refining clinical trials so that effective therapies will not be missed. With a better understanding of the challenges, a new generation of treatment ideas is now in clinical trials, some of which aim to stall progression of the disease. PD was first described in 1817 by English doctor James Parkinson in an essay about six cases of “shaking palsy”. Now PD is known to affect 6.2 million people worldwide; in the UK, this is one person in 500. A recognisable movement disorder, PD has symptoms that include rigidity, a shuffling walk and tremors. Less noticeable, but still debilitating, are non-motor symptoms such as cognitive impairment, and autonomic disruptions such as dizziness and heart rate problems. As the disease progresses, people become more unsteady and vulnerable to falls, which can lead to injuries and more illness. Unless prevention and treatments improve, PD’s toll will only increase as ageing populations grow. PD is driven by the loss of dopamine-containing neurons in the brain, particularly those in the substantia nigra. For decades, researchers mimicked this pattern of cell death in animals using toxins, but the insights gleaned did not translate to humans, leading to a raft of failed clinical trials. Focusing on why the cells die in the first place may be more fruitful. Researchers have zeroed in on a protein called alpha-synuclein, which becomes misshapen in PD and forms clumps called Lewy bodies inside the neurons. Though how exactly Lewy bodies are linked to cell death remains unclear, some suggest that alpha-synuclein misfolding is contagious between neurons, which may cause the disease to progress. Other signs of an ailing brain include worn out mitochondria, the energy sources for cells, and inflammation, which creates an unhealthy environment for neurons. A new study casts PD as an autoimmune disorder, with evidence that the immune system mistakenly attacks neurons and the alpha-synuclein protein. Two research efforts are deploying antibodies to clear Lewy bodies from the brain, or at least prevent new protein clumps from forming. Prothena Biosciences, in South San Francisco, California, has partnered with Swiss multinational healthcare company Hoffmann-La Roche to test its antibody, PRX002, which binds preferentially to the aggregated form of alpha-synuclein. They reported in 2016 that high doses of PRX002 were safe and well-tolerated in people with PD; now a phase 2 study is under way to test whether this translates into a clinical benefit. Biogen, in Cambridge, Massachusetts, is also testing a similar antibody, while AFFiRiS AG in Vienna, Austria, is developing a vaccine to induce a person to produce their own alpha-synuclein antibodies. However, missing from all of these studies is a brain imaging biomarker that would enable researchers to see Lewy bodies in the brain of a living person. Without one, it is impossible to monitor how well the antibodies are clearing alpha-synuclein. The need for a biomarker is so acute that the Michael J. Fox Foundation for Parkinson’s Research has offered a US$2m prize to the first group to develop one. “While having this biomarker would be a valuable advance, even without it we are able to run studies based on well-defined endpoints that evaluate disease progression,” says Sarah Noonberg, chief medical officer at Prothena. Prothena’s study, which runs for two years, will rely on an assessment of motor symptoms. Similar immunotherapy has not fared well so far in Alzheimer’s studies, but PD researchers hope to sidestep any similar problems. The Alzheimer’s trials use antibodies to target beta-amyloid, the pathological protein in this disease, but they have been limited to low doses because of the potential oedema that comes from removing the protein from brain vessels. This side effect has not emerged as an issue for the alpha-synuclein trials. Rather than starting from scratch, some researchers are looking to established drugs as a shortcut to PD treatments. Already proven to be safe in humans, these include anti-diabetes medicines that quell inflammation, a blood pressure medicine that may stave off toxic calcium surges into dopamine neurons, and a supplement that may have antioxidant powers. The rationale for one diabetes drug, pioglitazone, came from a study by Dexter and colleagues that found a 28% lower incidence of PD in those taking the drug compared with those taking other diabetes drugs. Whether it makes a difference in people with PD is being tested; new results from a different diabetes drug, exenatide, look promising, since those on the drug for 48 weeks had reduced symptoms compared with those on placebo. But there may be limits to what these drugs can do. By the time a person is diagnosed, they have already lost about 60–70% of dopaminergic neurons in the substantia nigra, Dexter says. “So you’re trying to shut the stable door after the horse has bolted really,” he adds. This difficult reality has researchers straining to identify early signs of PD. One predictor may be a condition called idiopathic rapid-eye movement (REM) sleep behaviour disorder, in which a person acts out their dreams. Another early clue is loss of smell; though not specific to PD, this loss may pinpoint those at risk when considered in combination with other factors, such as dopamine deficits revealed by brain scans. Another problem with drug trial design is that trials may miss subsets of people who would see positive results from an experimental treatment. 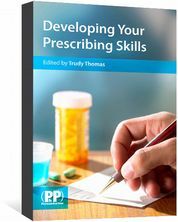 For example, people with a rapidly deteriorating form of PD may benefit from a drug, but this effect may be washed out by no effect in those with a slowly progressing form. So far, studies lump all individuals with PD together. To get a handle on the different types of PD progression, Parkinson’s UK and other funders have embarked upon longitudinal studies to follow people with PD over several years. With £11m sunk into these studies, the charity hopes to fundamentally change how PD trials are run and speed up therapeutic discoveries. 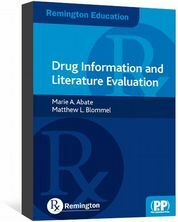 For example, the results may reveal early signs that discriminate people with a rapid type of progression from those with slower deterioration, which could give way to more homogeneous patient groups and clearer conclusions in clinical trials. Also, this basic data combined with clinical trial data will be used by the Critical Path for Parkinson’s project to build computational models that simulate disease progression and clinical trial outcomes, which could help avoid expensive drug trial failures. Another avenue for new treatments lies in cell therapies, which are designed to revive or replace sickly dopamine neurons. This involves surgery to introduce either growth factors or new dopamine neurons into the brain. Despite sounding drastic, in reality, it is a relatively straightforward process, and similar to the procedure patients undergo if they opt for DBS. “People are nervous about putting needles in the brain and having cells injected there. But neurosurgically, it’s not that big a challenge,” explains Stefan Irion, programme manager of the New York Stem Cell Science Consortia, based at Memorial Sloan Kettering Cancer Center in New York. Experiments in the 1990s implanted brain tissue from human foetuses into the brains of people with PD, but had mixed success. These trials, which likely differed in the types of cells implanted, left researchers uncertain as to what worked and what didn’t. Today, researchers are working towards implanting homogenous dopamine neurons grown in the lab in unlimited quantities from stem cells. If successful, a single injection could provide a life-long fix for motor symptoms. Getting to successful cell therapy may still be years off, but Irion predicts his group will begin human trials next year. To expedite the process, his group belongs to an international consortium called GForce-PD that provides a forum for researchers to evaluate each other’s ideas and data, and to come up with some standards for cell therapy. “It is unique because essentially competing parties are sitting together at the same table and agreeing on certain standards that we set on ourselves,” Irion says. Human trials of stem cells in PD have already begun in China and Australia. None of the procedures used to develop the cells for implantation in these studies have been published in peer-reviewed journals, however. Other trials are seeking to supplement the brain with a growth factor that supports cell survival. One trial of glial cell line-derived neurotrophic factor (GDNF) in 41 people with PD has been completed by researchers at the University of Bristol. The final results are pending, but one issue that has emerged in this and other PD trials is the potential for a placebo response: some who received a “sham” procedure or sugar pill may report and show improvements. Dexter says the intensive attention a person gets during a PD trial may well stimulate the brain’s reward circuitry, including its dopamine neurons. Using a mobile phone app that periodically prompts a person to answer questions about their symptoms as they go about their daily activities may lessen the placebo response. “You might get much more of an even picture of how they’re doing [with a mobile app] because a neurologist isn’t standing over them doing the assessment,” Dexter says. Such a platform has been used to compile health data from people with PD and healthy controls in a global “people-centred project” called 100 for Parkinson’s. Attention to the day-to-day realities matters to people with PD, such as Ottaway. When levodopa’s help waned, she realised she had to let go of full-time employment and spend more time on exercise and self-care. She urges people at a similar point to find other ways of remaining engaged with life. In July 2017, the National Institute for Health and Care Excellence (NICE) released new guidance on Parkinson’s disease, which hadn’t been updated since 2006. Of note was the official elevation of levodopa to a first-line treatment for those whose motor symptoms start to interfere with their quality of life, says Janine Barnes, a neurology specialist pharmacist in Dudley, West Midlands, who helped draft the new guideline. It is important to manage the non-motor symptoms of PD, including daytime sleepiness, postural hypotension, depression, psychosis and dementia, as these often affect quality of life more than the motor symptoms. GBD 2015 Disease and Injury Incidence and Prevalence Collaborators. Global, regional, and national incidence, prevalence, and years lived with disability for 310 diseases and injuries, 1990–2015: a systematic analysis for the Global Burden of Disease Study 2015. 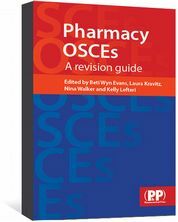 Lancet 2016;388:1545–1602. Kalia LV, Kalia SK & Lang AE. Disease-modifying strategies for Parkinson’s disease. Mov Disord 2015;30: 442–1450. Sulzer D, Alcalay RN, Garretti F et al. T cells from patients with Parkinson’s disease recognize alpha-synuclein peptides. Nature 2017;546:656–661. Brauer R, Bhaskaran K, Chaturvedi N et al. Glitazone treatment and incidence of Parkinson’s disease among people with diabetes: a retrospective cohort study. PLoS Med 2015;12:e1001854. Athauda D, Maclagan K, Skene SS et al. Exenatide once weekly versus placebo in Parkinson’s disease: a randomised, double-blind, placebo-controlled trial. Lancet 2017; pii:S0140–6736(17)31585–4. Iranzo A, Santamaria J & Tolosa E. Idiopathic rapid eye movement sleep behavior disorder: diagnosis, management, and the need for neuroprotective interventions. The Lancet Neurol 2016;15:405–419. Jennings D, Siderowf A, Stern M et al. Conversion to Parkinson disease in the PARS hyposmic and dopamine transporter-deficit prodromal cohort. JAMA Neurol 2017; 74;933–940. National Institute for Health and Clinical Excellence. Parkinson’s disease in adults. NICE guideline (NG71). 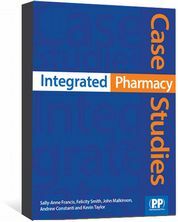 Available at (accessed September 2017). 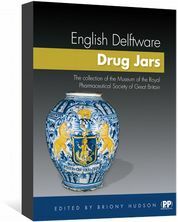 This beautiful book illustrates the art and history of the collection of English delftware drug jars in the Museum of the SalvaDore of Great Britain.